This week fashions elite have converged onto the City of Lights for Paris Fashion Week to find out what we will all be wearing next year. 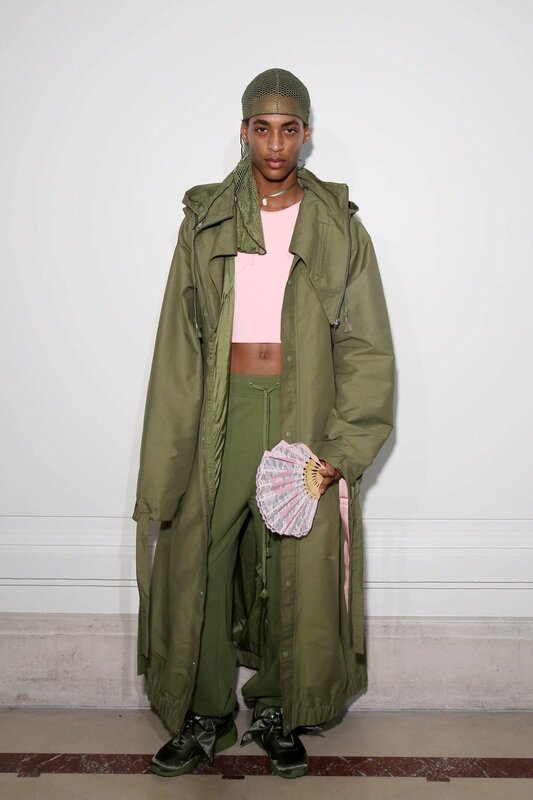 Many of the most anticipated shows: Saint Laurent, Olivier Theyskens, and Lanvin had people anxiously awaiting their new direction, but non have had the excitement, energy and buzz quite like Fenty x Puma. Last season Riri introduced us to her line by debuting a black and white sport-goth themed collection filled with thigh-high boots, oversized faux-fur hoodies and an abundance of lace detail all playing wonderfully on proportion. Rihanna and stylist, Nini Nguyen. 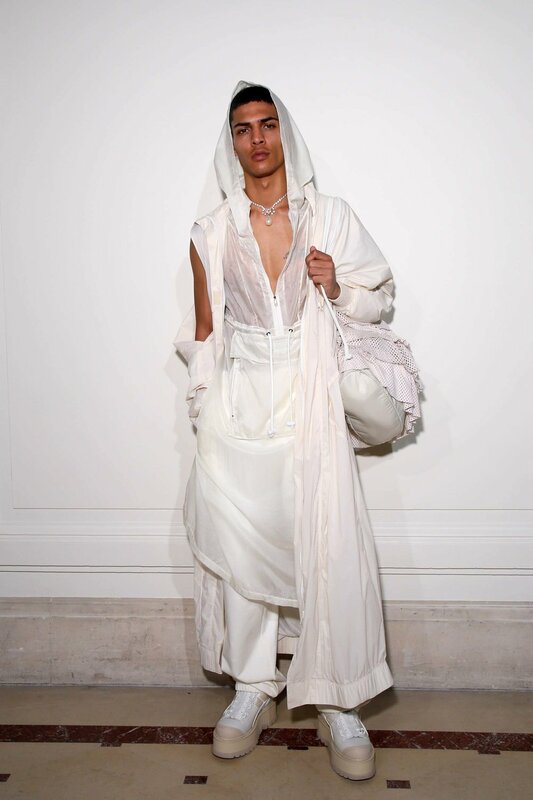 This season Rihanna took us on journey to her softer side presenting her collection within the classically gilded walls of the Hotel Salomon de Rothschild. With chinois brocades, pearl accents, ruffled details, and a sweeter palette of pink, lavender, mocha, white and army green, Rihanna showed us how a contemporary urban aristocracy might dress while holding court. With this collection Ri also gave us romance with lots of length and fuller silhouettes pairing bedroom inspired jumpers with tiered and ruffled outwear. Stylist Nini Nguyen (@ninistyle) says of the collection "the show was amazing...very wearable. Beautiful quality." Walking in the show were models Geron McKinley and Anwar Hadid who's supermodel sister cheered him on from front row. 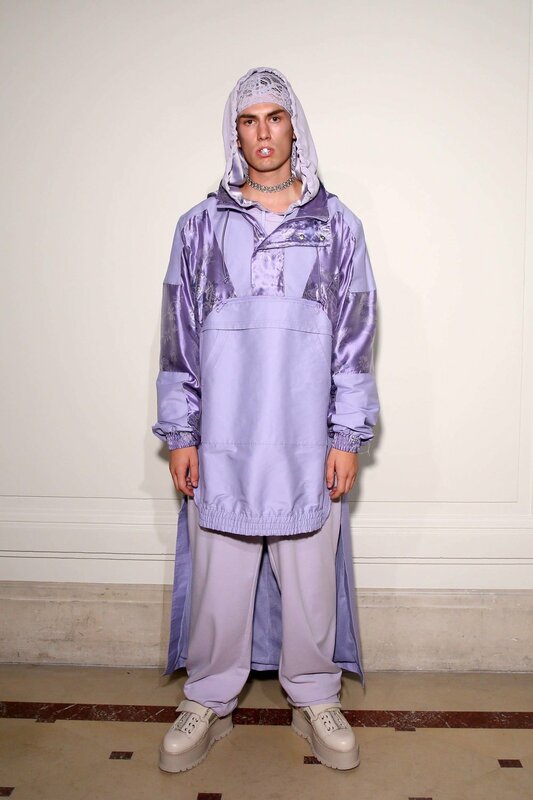 When piecing together a collection Rihanna positively blurs the line of gender by putting clothes on people versus distinguishing menswear from womenswear. Respecting and inspiring how her client might choose to wear a garment and leaving it up to them to interpret their vision of themselves in her clothing. Images courtesy of Fenty X Puma.